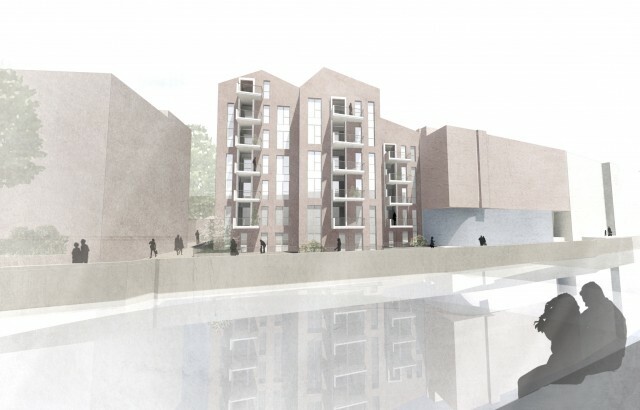 The London Borough of Tower Hamlets has given the green light to Copenhagen Place, a canal-side residential scheme that will provide 45 new homes in Limehouse. On the edge of the Limehouse Cut conservation area, our plans to regenerate this 0.14ha old school site mark an existing connection from Limehouse down to the towpath and include a five to seven-storey building set back from the canal to improve access, together with open space and landscaping, cycle parking and disabled car parking. Echoing the heritage of canal side warehouse architecture with textured red brick and pitched roofs, the scheme combines these elements with concrete wall panels and steel balconies to create a modern aesthetic that is appropriate to the conservation area setting. The design features a central private courtyard with landscaped areas and a children’s playground, private balconies to all homes and a roof terrace above the five-storey element, which links the major elevations facing the street and the canal. 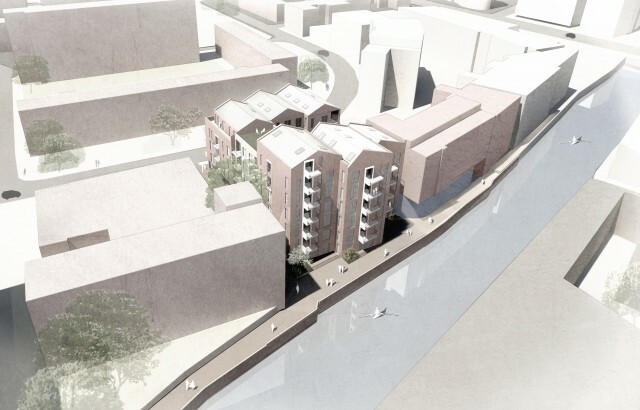 Including a mix of tenures and 14 units of affordable housing, the scheme has active frontages on three sides, most homes with dual aspect and many with floor-to-ceiling glazing providing views of the canal. Construction is expected to start in spring 2016, with completion in summer 2017.